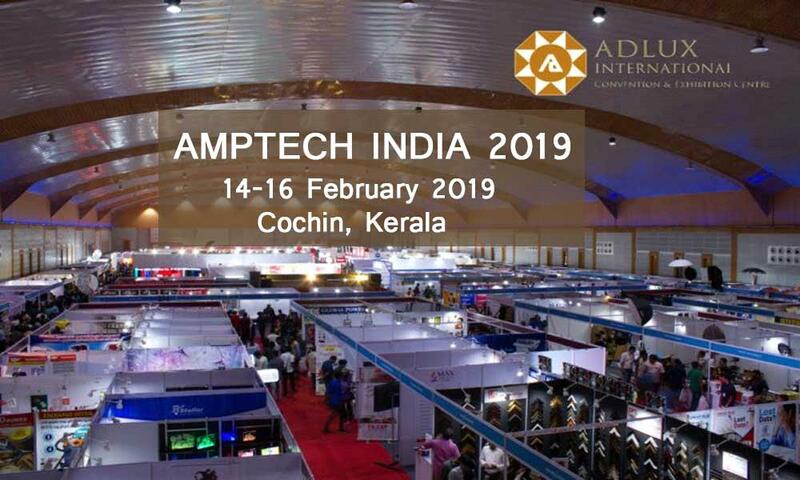 AMPTECH INDIA 2019 will be held from 14th to 16th of February 2019 at Adlux International Convention & Exhibition Centre, Ernakulam. Amptech India is one and only trade show in South Asian Countries, now Kerala is going to witness for this great wellness and healthcare event from 14th to 16th of February 2019 at Adlux International Convention & Exhibition Centre, Ernakulam. The show will feature Pharmaceutical Formulations, Machinery, Medical Equipment, Technology, Nutraceuticals, Hospital needs, surgical instruments, Lab & Analytical equipment and all other ancillary industries related, all under a single roof. It’s an opportunity to meet Industry leaders from Ayurveda, Medical Equipment, Nutraceuticals, Pharma Formulations, Surgical equipment etc.